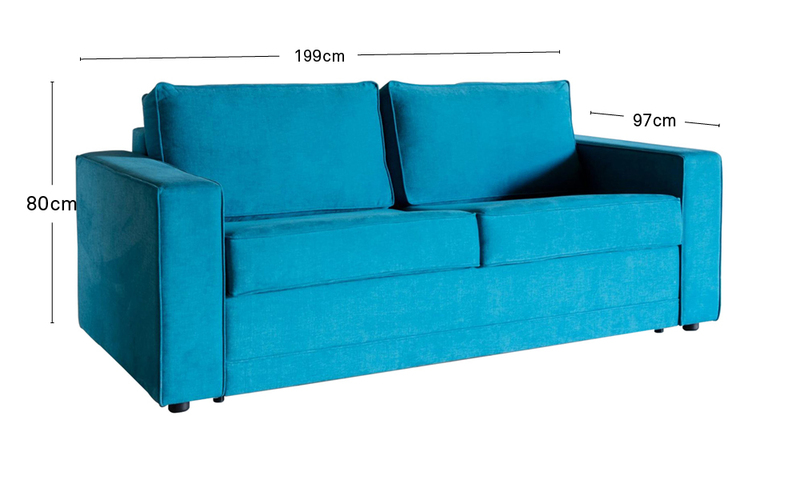 The Butch is a sturdy, smart sofa bed that will inject cosiness and colour into any interior. It has a simplified, pull-out system that is extremely easy to use and reveals a sprung mattress with a slatted bed frame support to guarantee a great night's sleep. The Butch is a beautiful example of stylish practicality and will make a great addition to the contemporary home, whether it is to be used as a guest bed or as a comfortable family sofa for everyday use. The Butch comes in over 100 fabrics, from deep velvets to fresh linens - all home delivered within 5 weeks. Why not include some scatter cushions in the same fabric as your sofa bed? We offer single cushions and sets of two that'll be delivered directly with your order.